I am considering buying this Dart Convertible here in India. These cars are hard to come by in India. I would like to have you guys' expert comments on this particular car on whether it looks like a worthwhile/clean buy. I can see a couple things are not original and the front grill is missing. But I have very very limited knowledge on these cars. If it looks clean enough from the pictures maybe I can try and reach a good price with the seller. Looks like a 70 front clip on it. But I don't know maybe it was an export thing. Yeah I have asked for the VIN number so it can be determined exactly what year this is. Ignition switch on the column should be in the dash. Maybe it was built from whatever parts were available. Did the Darts of that era come with a column ignition at all? I am thinking maybe he has put in some later era Indian parts in there, which is certainly something I am not looking forward to. It looks like a 1969 dart body with a 1970 dart front clip and interior. 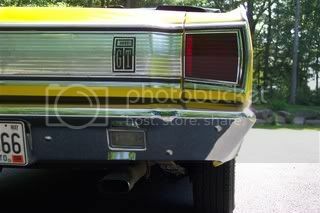 Tail lights are in the rear bumper, which is another thing that made me question which year this is from. I thought the 1970 model was the one which had the bumper tail lights. Sigh. This is not looking good. definitely some weird stuff going on there. 3 speed manual on the tree with the ignition on the column instead of the dash. there should be a hole in the dash for the old switch. im almost guessing the dash VIN is not going to have a 7 for 67 unless the tag has been switched.... and why would someone blank out the tail lights and cut out the bumper for new lights? wierd. the black engine bay isnt helping. its missing the wiper arms and they added the 70 rear marker lights. im no export expert by any means.....it just looks like they took a 70 dart and mashed it with a 67 convertible. MPH speedometre seems out-of-place ( "should" be KPH , I believe ) , to begin with ; everything else is just so odd to me on this thing ! I'm thinking that you have a "CKD" (Complete Knock-Down) built Dart from South Africa , if anything . The "tail lights in the bumper" doesn't seem right to me , even for a non-U.S. model . I'm interested in seeing if this Dart has a U.S. model v.i.n. 1967 U.S. models' I.D. plates are located in the driver's side doorjamb , lower "A"-Pillar , and are 13 characters in length . 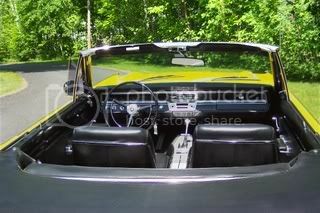 From looking at the windshield surround, it almost appears as if it were originally a hardtop that has been converted to a convertible. As others have pointed out, it certainly is wearing a 70-71 front clip, although this is not neccessarily a problem. I would guess that because of the rarity of parts, this car was put together with what was available to the builder. Things I would look for would be if everything appears to have been built properly. If it was a hardtop to start, has extra reinforcement such as frame connectors been installed to keep the body rigid? Convertible would have extra bracing behind the rear seat area for example, and torque boxes to minimize frame twisting. All in all, I think it is pretty neat in it's execution, and although probably a custom, if it is built well could make for a fun top down cruiser. Is Johnny cash popular there? one piece at a time maybe? Is it safe to drive? If so-- is the price right ? If you like buy it!! It would be a fun cruiser. This a Frankenstein car made of parts from several different years. It is either a 70 with 67-67 rear quarter panels grafted on hence the 70s stile tail lights in bumper, or 67-9 with 70 front clip. 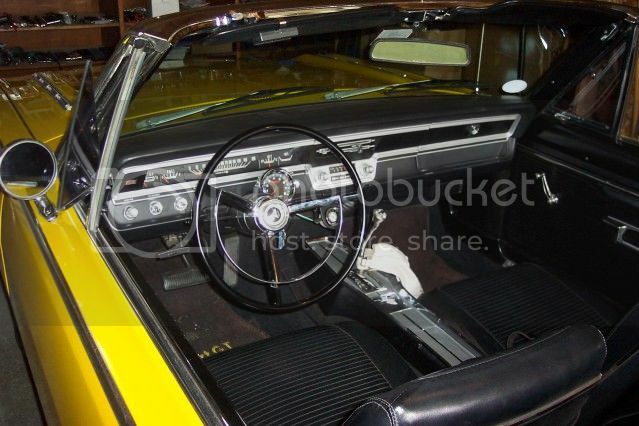 Dash is not a 1967-69 configuration; top switch is located on wrong side of steering wheel if it is the top switch, steering wheel and column, radio, glove box door, heater- AC control, and dash trim is post 1969. Side marker lights look to be post 1969 stile. 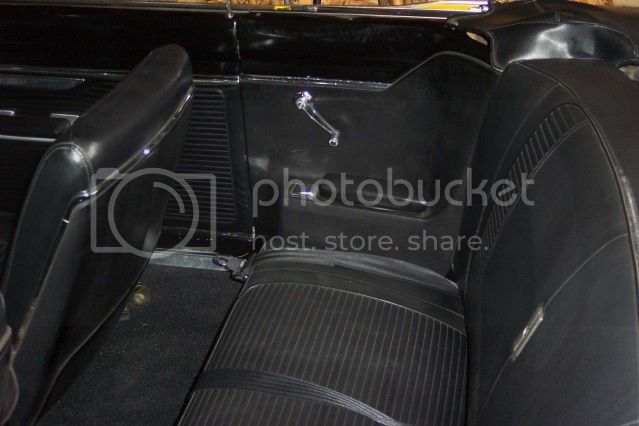 Rear seat is contoured around homemade top iron enclosure where 1967 hard plastic panel contained window crank, arm rest & ash trays mating to a squared off seat cushion, front windshield pillars are what one would find on a two door hard top. 1967-69 would have SS trim fully covering pillars and header. This is a hardtop to convertible conversion. Is vin number located at base of drivers side of dash board at base of windshield, or 1967 stile riveted to drivers side door frame on hinge side? Is there a fender build tag on drivers side inner fender near battery; it would help reveal more information as to just what you have. I'm with these guys, try your luck with the VIN, if its correct. I would guess its been built from wrecked or whatever with parts from multiple years depending on what was avail, and odd stuff filled in (windshield/taillights). My plan would be to take it somewhere and have somebody knowledgable look it over and look for hazards/safety issues if you like it. Good luck, it is really a interesting car, I spent 5-6 weeks in India, and don't recall a single american muscle car... where in India are you, are you a local, or a transplant? Thanks a lot everyone for all your comments. It really has been a wonderful learning experience so far. I thought there was something weird going on here when I first looked at the car in the pictures. The car is located far away from me so unless I am pretty sure about getting it I won't be flying down there to take a look and seal the deal. I am not sure about the tail lights either, they look like the one from the 1970 model but the boot lid and such looks like from a 67. So I don't know what to make of it. You guys also mentioned the windshield trim which I hadn't thought of. So I spoke to the guy about the VIN and his version was that he had taken the VIN plate off when the car was being painted and he doesn't know where it is anymore. Is there any other way we can find out what exactly is going on here? As Joe asked, yes there's not too many old American cars in India anymore. We had our fair share which slowly rotted away. Most of them were the smaller 6 cylinder versions anyway. V-8s are pretty hard to come by here. I am from India myself. Just that going to college and living in the US Midwest for 6 years has sort of made me fall in love with classic American cars. In India, you're not allowed to import any car older than a certain year and definitely no Left hand drive cars anymore. This has led to an artificial supply shortage in classic American cars. This is also the reason why I am trying to make sure that if I get something that I have to pay a small fortune for, it better be good. However the above mentioned points might also be a good bargaining tool to get me something that might not be original but surely be fun. Thanks again guys. Let me know if there is any alternatives to the VIN plate which can tell us about the car's origins. P.S. Wjajr, your car is beautiful! there is no VIN tag at all? is the car registered or titled? i dont know how it works over there, but if its missing the VIN tag i wouldnt touch it, but thats just me. who knows whats really going on with it. The car is registered with the VIN that was on it. But apparently the owner took the plate off while painting and has since misplaced it. In India, a license plate is registered to a car (to it's VIN) and then that stays with the car till the end. In case of a sale, the new owner's name is added on as current owner and the old names just stay on the registration for records. The only cool part about this is that if you buy a classic car you also get an old school license plate and number with it. If the car is in fact a 67 body the vin tag would be located in the drivers side door jamb area. It would make sense that it was removed for painting purposes. I would think that they would keep track of it though. 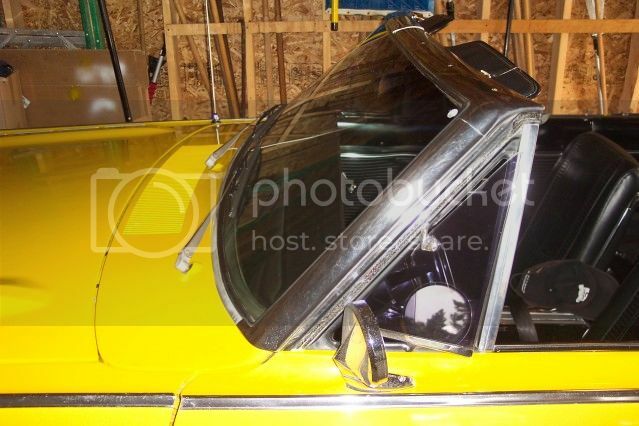 Also in one of your photos it appears there is a vin tag on the dash. Can you ask the owner about it? You say that there isn't many old mopars in India anymore, well this looks like several cars. There should be a switch or know under where it says TOP on the dash, tell me that the dash is non convertible but the instrument cluster is from one. The door panels in the back seat are home made. It shouldn't have side markers at all. IF you were in the states I would avoid this car, but in India who knows. The valve cover is from a later car. All of the export cars that I have seen like in south america etc may look like a 69 but says it is a 71, this car looks like it is going the other way.